RICHMOND — Residents of Point Richmond, the city’s original downtown, annually make time on Thanksgiving morning to participate in a frivolous community tradition before returning home to prepare the family feast. The lighthearted gathering known as the Wild Turkey Shoot (no animals are harmed), which returns for its 29th year Nov. 22, is a procession that circles through the historic commercial district before assembling for the reading of a poem that grows by a stanza each year. At the conclusion of the poem, celebrants down a shot of Wild Turkey or sparkling cider. Celebrants will gather at the Richmond Plunge, 1 E Richmond Ave., starting around 10 a.m.
“We encourage people to bring noisemakers, pets, even vehicles. 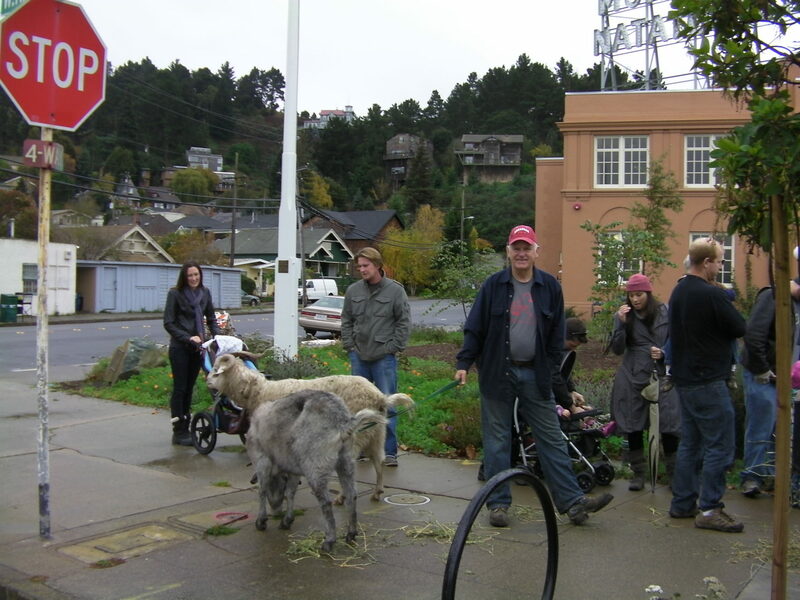 People bring goats, wagons, funny hats, Thanksgiving stuff,” said Pam Delaney, one of the event organizers. The procession will be accompanied by a ukulele group that plays weekly in Point Richmond. A commemorative shot glass will be sold, with funds benefiting Point Richmond Music, the nonprofit organization that organizes the event and annually hosts a free summer concert series in the district.